Growing up, college held so much promise: Pick a school and program I like, earn the degree, qualify for well-paying jobs, and earn enough money to pay back my loans and start my life. However, after the third attempt at starting a career with yet another company, doing something unrelated to my degree and working just to “work,” I finally realized that I was repeating a path I would not enjoy or even continue for much longer. While there were aspects that aligned well with my degree in English studies, the jobs never quite took off to become the career I wanted. So with no plan and a patiently supportive husband, I decided to take time off to figure out where to go in my life. It was obvious to those around me that I had a passion for the “behind-the-scenes” aspects of documentation. Whether it involved heavy research, developing and structuring some form of record, or just being able to type faster than most in my field, I knew my career would be discovered through those means. 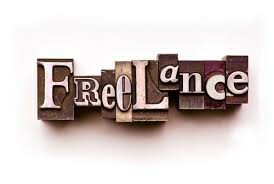 I thought pre-law and paralegal work would benefit me, but I was not keen on the idea of staying in school when college was so close to an end at that point; I was burned out and just wanted to work. As the years passed after graduation, it became apparent to me that the adage rang true: “It’s who you know, not what you know.” I never believed it would apply to my situation until I entered into my second month of unemployment in February 2017. During my two-week stint as a driver for Uber, I received a pick-up request near downtown Chicago. It was then that I met a familiar face in the court reporting world, Melanie Humphrey-Sonntag, FAPR, RDR, CRR, CRC, a former president of NCRA who is currently serving the Chicagoland area. When picking her up, I helped load her lone suitcase into the trunk of my car and, being the curious sort that I am, I inquired where she was traveling. It was then she explained her fascinating career as a court reporter, with her writer carefully packaged away in the metal-supported suitcase. She explained that a lot of her career takes her on the road and the writer was a fragile piece of technology, with language smarter than the average computer. Just like your first car, you take care of your machine and it takes care of you. I mentioned that I had been fascinated with the idea of stenography, but I was not keen on the idea of more schooling. The questions soon began: What had I pursued in college? What jobs had I experienced previously? What kind of work I found enjoyable? Was driving for Uber a hobby or a career for me? 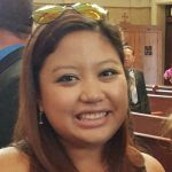 I explained that I had graduated with an English degree but felt unfilled with my attempts at finding a career, so I decided to start driving for Uber because I was currently trying “to find myself.” She noted that I seemed to be outgoing and had a solid knowledge of the English language, both of which are strong qualifications for court reporting. In turn, I asked about how happy she was in her career; if more lengthy schooling was required to develop the experience; and of course, what the financial benefits of the career were. 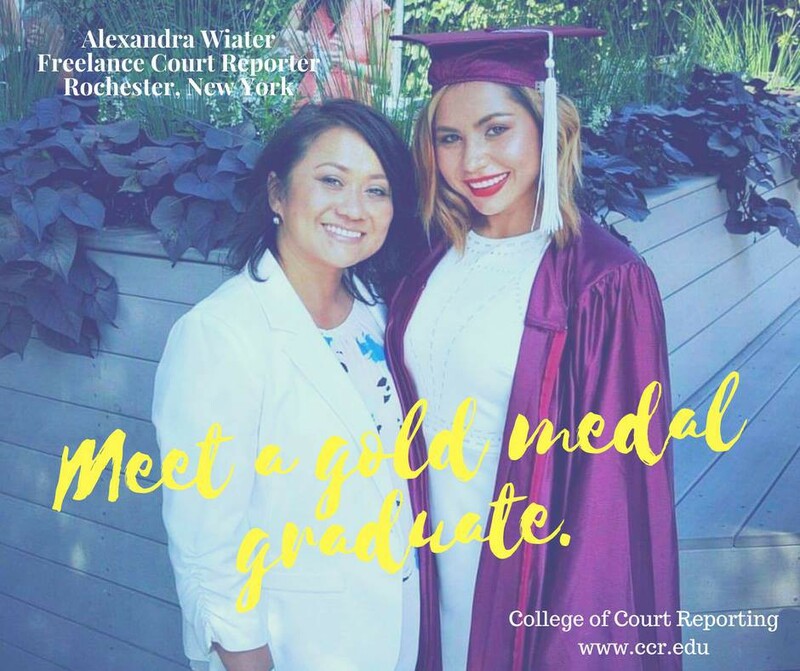 In essence, she described — in as much detail and passion as a 20-minute car ride allowed — all the pros and cons of the court reporting world. As we arrived at her destination, she gave me her business card and invited me to stay in touch with her should I choose to explore the idea of court reporting. When I saw her name, I said, “Your last name means Sunday!” and explained I was studying German as a hobby, to which she said, “You really do love linguistics! You’re already a great fit.” The enthusiasm and driving force she had was infectious and I decided – after much research and review – that I would return to school at the College of Court Reporting (CCR), in Valparaiso, Ind., in order to obtain my AAS in Court Reporting. I am currently starting my third semester at CCR, having just completed my first five-minute Q&A at 60 wpm. I am surrounded by overwhelming resources and support from the faculty and staff at CCR. 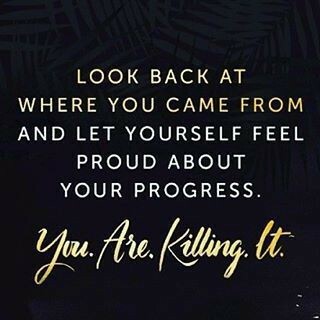 My classmates come from all walks of life, yet we are all working toward the same goals (I have even made a steno best friend, whom I speak with almost daily), and that fateful meeting turned an acquaintance into a mentor and friend. With the challenge of balancing home life and full-time school, the goal of graduating in December 2019 with the 225 wpm requirement seems daunting. 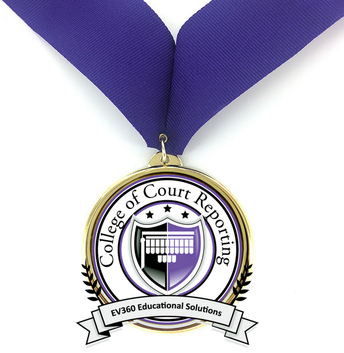 But even with attaining that goal, court reporting has ignited a passion in me that I do not feel the English program ever did at my alma mater. 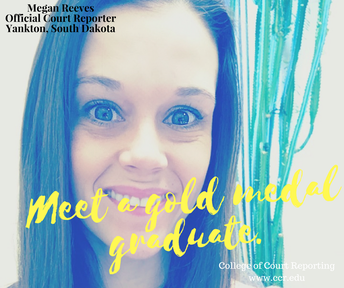 I am making plans that never seemed possible: I plan to graduate and apply to a specific agency for a few years, and then I will pursue an opportunity as a full-time court reporter for one of our local courts. Or, if I find myself still struggling with realtime, I would love the idea of teaching theory to future students. I already find myself talking non-stop about it to family and friends, so why not get paid for it as well! 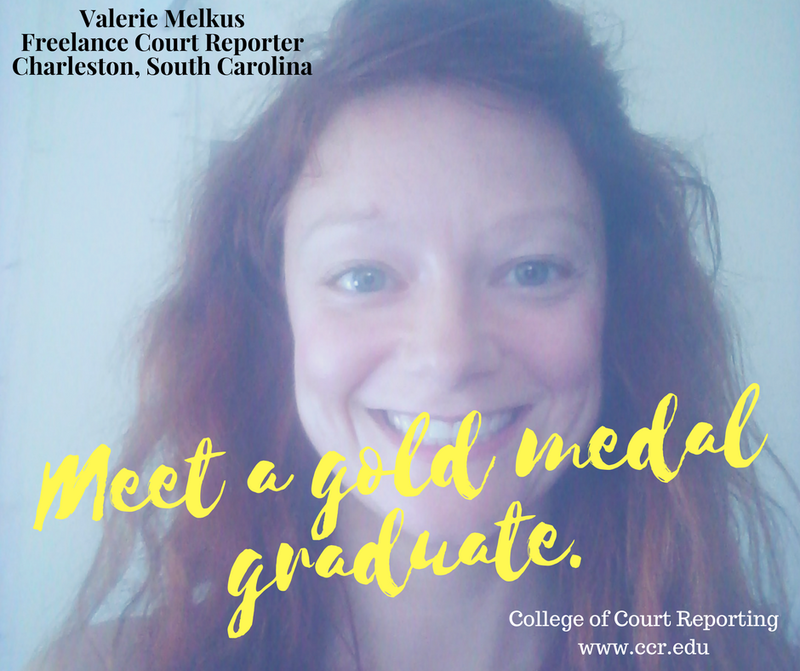 I have not always been the most optimistic person, but court reporting has drastically improved my way of thinking in such a short amount of time, and every day I cannot wait to talk about it with someone new, just what Melanie did for me. MEET OUR GOLD MEDAL GRADS! College of Court Reporting would like to acknowledge all of our alumni and thank them sincerely for choosing our school to fulfill their dreams. Our graduates' dedication, resolve, integrity, and professionalism is what got them to where they are now, and we know they'll be successful for years to come. 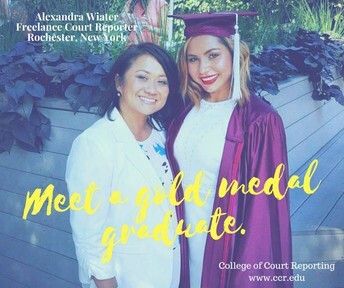 As part of our celebration for NCRA's Court Reporting & Captioning, we paid tribute to our graduates by saying how immensely proud we are of their accomplishments and by sharing those accomplishments with the world. Over the next few Guardian issues, it's our pleasure to introduce you to just a few of our Gold Medal Grads. NCRA WANTS TO HEAR FROM YOU! Students: Do you have a mentor? Let NCRA know how your mentoring experience is going or how it could be better. Fill out this short questionnaire and NCRA may feature you in their May issue. ABC, NBC, CBS?? Nah...we have your fav channels right here! Tune in to EV360 Ultimate for a multitude of channels even the pickiest of speed builders will enjoy! 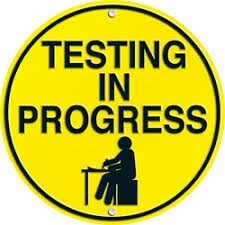 Think of Test Rally as the "express lane" which allows a student to move to the next speed level! 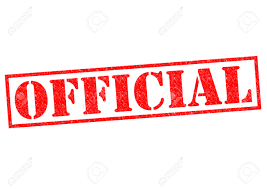 CCR is proud to announce that during the Test Tally held March 16th — March 22nd. 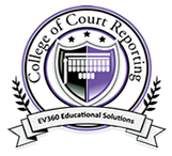 Interested in becoming a court reporter but don't want to wait weeks or months to start school? Not a problem! CCR is now starting classes every five weeks. 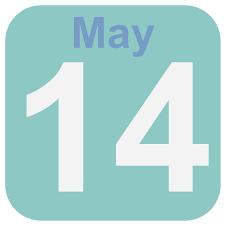 In fact, our next start date is May 14th- just around the corner! Registration Deadline: April 23rd, 2018. Contact Nicky Rodriquez at 866-294-3974 ext. 222 or nicky.rodriquez@ccr.edu for more information. welcome to the job drawer! For additional information, contact Natalie today! Practice with the same equipment you plan to test with. Practice in the same location from which you plan to test. When possible, practice on the same day of the week and time of day you plan to test. This will proved a clearer picture of your internet speed for that timeframe. Yes, it does vary. Do not change anything once you have perfected the process. Do not install anything new on your computer. Do not switch headphones or webcams. Do not allow Windows to automatically update between your practice and testing sessions. If you don't realize that Windows is set up to auto-update, you won't even know that, indeed, something has changed your computer, and "it" may not work properly for test day. If you don't know if yours is set to auto-update or how to change that Google it for the version of Windows on your computer. If you don't regularly use a webcam, practice with a friend. You can use Skype or Zoom at no charge and practice to your heart's content. Again, this raises your comfort level. Stay up to date with CCR events by following us on social media! If you just can't get enough of us, click on the link below to follow our blog! The online education you want. The quality you deserve.